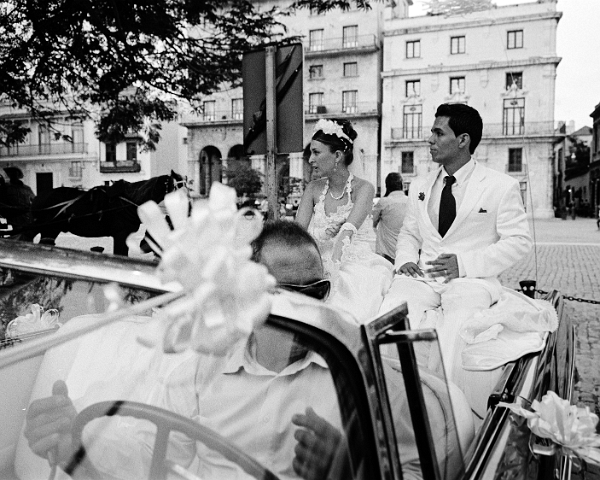 Wedding couple in car, Havana. Newlyweds will sometimes hire a convertible to parade them around town, honking the horn, just so everyone can see them. The actual government ceremony takes minutes and cost a dollar. Divorce is the same resulting in a divorce rate approaching 70%.